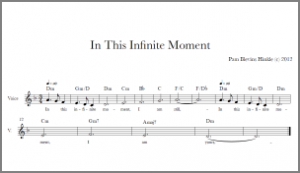 To download the “In this Infinite Moment” sheet music fill out the form below. All fields are required. Thank you for your interest in my work! If you have trouble accessing the file, please contact me.